By Håvard Holmedal, Stereo+ (Read original review in Norwegian here). It appears that Arendal is in a good trend. The subwoofer still stands very good in the market, and their 1723 series have been installed in many hi-fi systems and home theaters both in Norway and internationally. Now, however, it is time for a slightly shrunken series with the letter S added to the name. It is not hard to understand that Arendal Sound has seen the need for a slightly smaller series of speakers. It’s not entirely impossible to imagine that some people think the Tower with four eight-inch woofers can be a bit massive. Then it may be easier to get approval for a speaker where the drivers are somewhat smaller and where the cabinet actually appears much smaller. Greetings,Tower S! The letter S is in this case short for «Small». Someone will still think that the “Small” version is too «big». And then is the question. How does it compare to the previous and quite much bigger model? We have tested many of Arendal Sound’s products. The entire 1723 series has been connected both in stereo and home theater with brilliant results. Tower and Monitor from the first 1723 series is highly impressive stuff, and although the price is not exactly budget class, they are bargains for most cases. The new S-Series, now also THX-certified, is equipped with bass drivers shrunk from 20 to 16.5 cm, but with the same size magnets and equally sturdy cabinets. The treble is identical. You wouldn’t think that this reduces the size much, but where Tower took over much of the living room, Tower S is far more placement-friendly and compact. The height has shrunk 17cm, the width about 3cm and depth about 8cm. This also results in much lower weight, they now “only” weigh in excess of 30kg. The cabinets are still made of HDF (high density fiberboard) and are very well put together. If you knock on the front baffle, it sounds like the entire speaker is made of a solid piece of wood. The finishes are matt black and matte white as well as gloss black and white, which we think is quite stylish. The two lower woofers work as pure subwoofers, and are limited up to 100Hz to help in the two lower octaves. The two top woofers above and below the tweeter sits in a D’appolito configuration, and here the crossover frequency is as low as 1500Hz. The treble sits in a short horn that ensures controlled dispersion, otherwise there is not really any other trick used but making good drivers and placing them in one solid and rigid cabinet. And then of course there is the crossover where I’m guessing Arendal Sound has been even more focused, to make the smaller speaker behave like its larger brothers. The speaker is 4ohm, but the speaker is relatively efficient (near 90dB) and not particularly demanding to drive. Nevertheless they demand a powerful and stable amplifier due to the impedance. They are stated to withstand 400 watt, but to utilize that potential you need a big and powerful amplifier. I got good results even with the built-in amplifier in a Bluesound Power Node, but there was no doubt that it needed more power. Search for amplifiers among the very strongest home cinema receivers, or in the price range around 12-15 thousand NOK (1200 to 1500 EUR) if you need an integrated amplifier. To adapt the sound of Tower S in the living room, Arendal has made one practical and smart thing to adjust the bass. The speaker can be used both in a sealed and vented construction. In sealed version, it plays down to 49Hz, something like that I can remember is actually a little below the big Tower models. In the sealed version, the bass will still have energy at far lower frequencies than this. You obtain decent response down to 35Hz, and you also get help from your room for the bass response. At least I missed nothing but the absolute deepest part of the bass, for which you almost need to have a subwoofer anyway. Then you can configure the two bass ports in slightly different ways. If you get too much bass with both ports open you can try to seal only one. It does not make very much difference in bass depth, but the slightly flatter curve may be just what you need to get the right balance in the room. With one port sealed the speaker has the -3dB point at 39Hz, while with two ports open its at 35Hz. As with the Tower, this data does not give particular reason to speak in superlatives. Even a pair of tripod speakers I have standing in the living room from Canton is indicated to play below 30Hz. Nevertheless, I experienced the deep bass and volume of Tower S on a completely different level. Firstly, 4 woofers move breathtaking amounts of air and we must remember the speakers still has not fallen more than 10dB in response down to 30Hz. There are many who still believe that the Arendal speakers are designed for those who want to play loud and hard at home, but the speakers surprise with an ability to play accurately, and with a resolution and an amount of information which is impressive. All the way from the tight and controlled bass, and up to the treble. It’s a bit like a heavyweight wrestler suddenly breaks out in lean ballet – without it being comical! You should not only consider this speaker if you play loud, but also when you are planning to sit back in your listening chair and actively listen to music full of details and many sound colors. The speakers master this with ease even if they manage to knock out music with a lot of bass and volume in a stereo system at the same time, or a busy movie track in the home theater. Tower S is surprisingly versatile, and maybe even more so than Tower. listening rooms were lifted in a positive direction. The bass balance is better and the speaker seems tighter and more precise than its big brother. It’s also quite interesting to hear how similar the two different speakers are playing. The treble is of course, identical, but you actually have to go down to the deepest bass before you can put your finger on real differences. The sound of the Tower S is a little slimmer and has somewhat less bass. 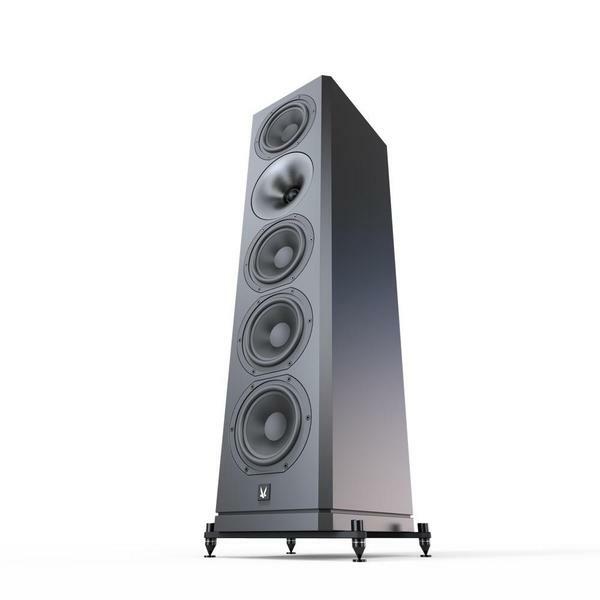 If the living room or your listening room is not very big, it may be that the bit smaller Tower S will actually play tidier and more precise in the very lowest octave. On the other hand, this is still a powerful speaker that shows that it is possible to get delicious and juicy sounds from smaller speaker drivers, when there are enough of them. I find my notes from the test of the Tower, and play the same track with Youn Sun Nah, La Chanson D’Helene. It is surprisingly great and engagingly presented with lots of information and air in the voice, the spatiality is great, well-formed and large, and rarely quieter between the voice and instruments. You’ll probably find speakers in this price range that give you just as good or better musical experiences, but then you must probably expect to lose these speakers significant entertainment factor and life-giving enthusiasm. I start with Pete Belasco’s Deeper, which seems like a good and relatively calm start. It sounds taut, powerful and fleshy in the bass, and it does not disturb the lower part of the midrange, or create signs of resonance in the cabinet. Belasco’s voice is greatly focused and what the speakers deliver is is real and convincing, something that is not trivial in this price range. Song for Olabi with Bliss also gets a round in the player, impressing more with the dynamic percussion than the depth of the bass at the bottom end, but to expect that these speakers should play absolutely everything and compete with the massive Canton Reference 3 I recently had at home is stretching it a bit too far. Of course, the speakers has a limit despite the unusually successful construction. What nevertheless impresses is the calm, relaxed and undaunted way it plays music, and that it still manages to render each and every hit of the drums and every single blow with palms and fingers. The sound image is displayed with lots of power, impressive dynamics and rhythm, that makes it very fun and engaging to listen to. With movies in the player it is of course also fun and it is always impressive to hear speakers that perform well without a subwoofer, although real deep bass will still be delivered best with external subwoofer(s) no matter what kind of speakers you have or how expensive they are. They do not match the big Tower, hardly anything will do in the price range, but my God how detailed they are! Film likely contain explosions, a hectic music track, voices and lots of room information and details at the same time. Like on hi-fi they behave very well. The speaker does not get stressed and shows a quite impressive dynamic headroom, no matter what you compare it to. They also know the art of playing loud without causing fatigue or compressing the sound. It will get quite busy and loud before you lose the feeling of headroom. While being this big, the Tower S shows a lot of sophistication and ability to play details, but it also has mid bass and a heavy deep bass which makes it one of the few real full range speakers you can buy for less than €3000. Read original review in Norwegian here.